Discover the important role predators play in nature while viewing live animals from exotic cats to more unusual hunters. Zookeepers further illustrate with quick wildlife clips and close up views on the live cam while live animals exhibit natural behaviors.The Safari Canyon open-air theater combines the fascinating information and wildlife footage of a nature program with the thrill of experiencing those same animals live and up close. 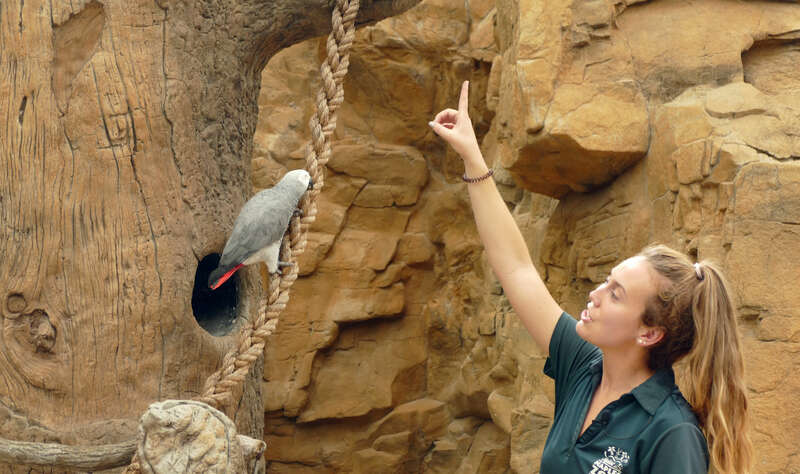 Exclusive to Naples Zoo, Safari Canyon shows are a fun way to experience wildlife. Arrive a few minutes early to learn wildlife trivia, recent conservation data, and fun nature facts. Take a look at some of the animals you can see in our shows! These animals are not on exhibit, and can ONLY be seen during a Safari Canyon presentation!